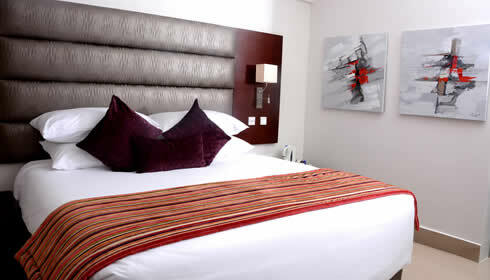 From N47 800 per room, per night. Includes: Breakfast for one, wi-fi, access to gym facilities & sauna, wine & nuts on arrival. Subject to availability, Friday to Sunday. Valid for Executive Deluxe Room. Upgrade fees apply (excluding Penthouse). Full pre-payment. Not valid for groups.